Costa began life as a creative misfit, using his imagination to spur havoc, laughter, and the occasional unintended success. Come to think of it, he hasn’t changed much over the years. Some of his recent adventures include working with NASA scientists to rethink the search for life beyond Earth, designing an innovation tournament inside of a Fortune 500 to seed innovation projects, speaking at the United Nations in New York as part of the first TEDx event there, working with a group of cyber security experts (including one of the original creators of the internet—not Al Gore) to make recommendations to the Obama Administration, and that’s just the compulsory who’s who. Some of the most impactful and beautiful work he’s done has been with college students, young entrepreneurs, and nonprofit organizations. Costa’s passion, and by some cosmic coincidence his job, is to help people be more creative, so they can solve new and meaningful problems in the world. He takes great joy and pride in skillfully priming the human brain, and the human heart, for creative breakthrough. 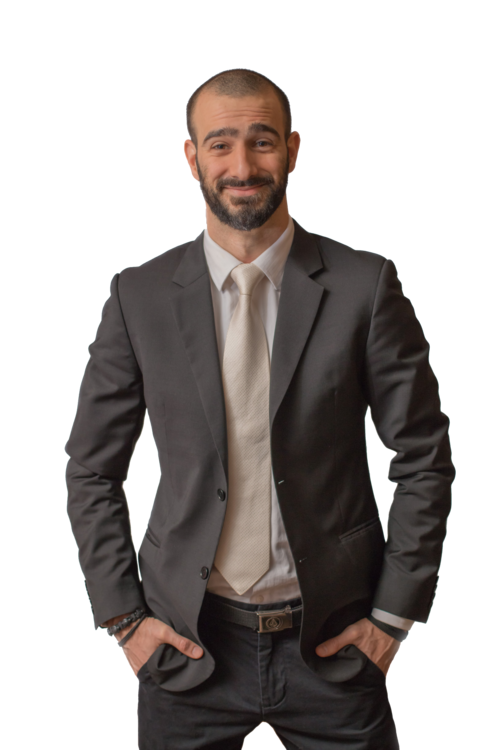 He cofounded an innovation company, Innovation Bound, and has joined a team of academics, entrepreneurs, consultants, and other creativity & innovation experts just like him to help accelerate innovation efforts in science, business, and the citizen sector. Costa grew up in the world of competitive gymnastics. To this day, he still chalks up to swing high bar on Wednesday nights. If you spend enough time with him, you’re sure to catch a glimpse of him flying through the air or standing on his hands. We invited a filmmaker friend to join our company retreat. No one has captured who we are quite so well. Without skillfully applying creative capacities to adapt in today's turbulent business landscape, the modern organization is doomed. 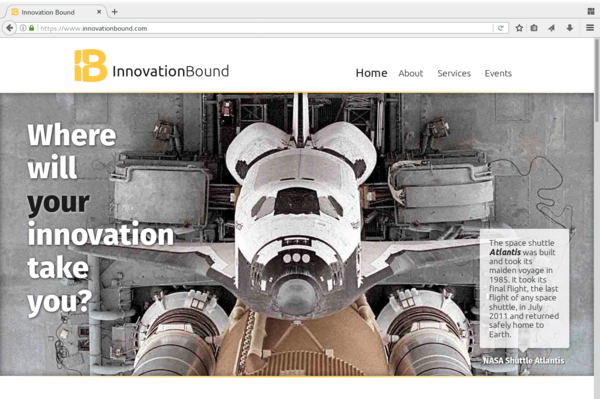 Costa cofounded Innovation Bound to help leaders solve the complex challenges that their organizations face. Top talent groups at some of largest Fortune 500 companies have honed their creativity and innovation abilities through our learning programs, and many successful innovation projects have been seed funded and launched at our Innovation Labs. The impact of improving an organization's innovation capacity reshapes morale, improves performance, and helps organizations excel in an increasingly fast-changing world. Innovation is important in all communities around the world, not just the technologically advanced ones, and not just in industrialized economies either. Inclusive Innovation brings the benefits of innovation to communities previously left out, and we go one step further. We include constituents from struggling communities in the process of innovation, which allows problems to be better understood and solutions to be well crafted for local realities. That's inclusive innovation! 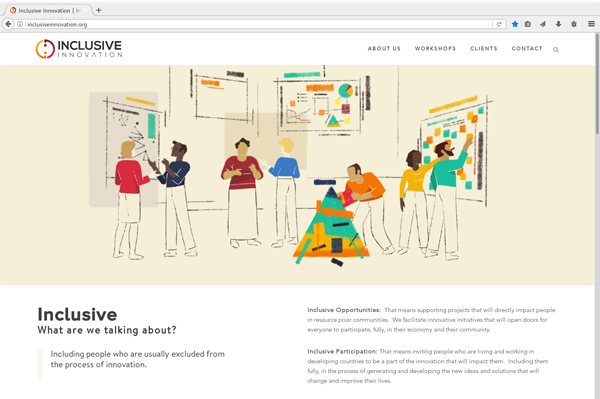 Watch a short video: What is Inclusive Innovation? The most impactful innovations begin with breakthroughs and scientific discoveries. These days it's becoming important for scientists to work across their individual disciplines to make those breakthroughs happen. 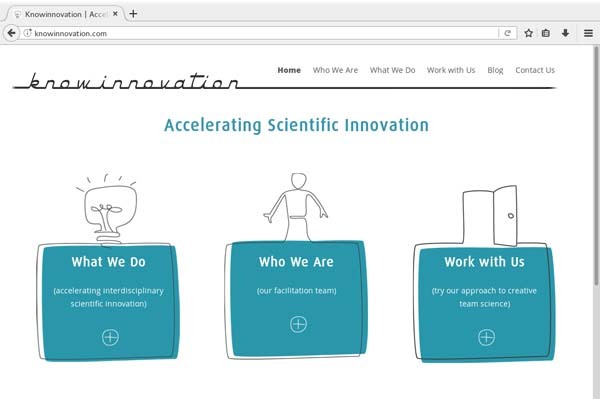 Costa, along with a whole team of adept facilitators and academics work to accelerate this interdisciplinary scientific innovation, through a set of workshops called Ideas Labs & Sandpits pioneered at Knowinnovation.